It might be easier to ensure healthy vision than you think. 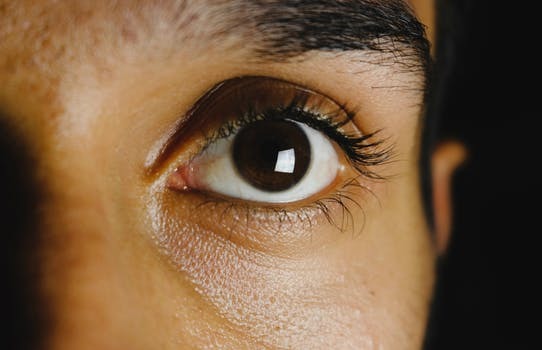 Eyesight is a fundamental part of human perception and cognition, and yet the causes of retinal disease, including blindness, remain a mystery. Although medical research has not yet found a cure, researchers have discovered a food group that helps maintain healthy eyesight. In order to protect your vision, it turns out, you should be eating a lot more broccoli. Or broccoli sprouts, to be exact, as well as other cruciferous vegetables. Contained within cruciferous vegetables like broccoli is the superfood sulforaphane, a powerful antioxidant that has been shown in medical research to help prevent blindness. Sulforaphane protects the eye from damage caused by the sun’s powerful ultraviolet rays. Wondering how it works? Researchers believe blindness is the result of cells in the retina of the eye becoming weaker over time. The cells are naturally sensitive, especially to the ultraviolet light produced by the sun, and slowly they become less able to mitigate the damage caused by the incoming light. Hazy vision sets in and in some cases blindness does too. And while it was commonly thought that weakening vision was an inevitable side-effect of old age, the fact is that we have a preventative measure at our fingertips. As an antioxidant, sulforaphane acts as a buffer in the cells of the retina, strengthening the eyes’ ability to process light. Sulforaphane can be found in broccoli and broccoli sprouts, kale, cauliflower, cabbage – all vegetables that are an important part of a nutrient-rich diet. Knowing that these foods help prevent blindness should provide the impetus you need to incorporate them into your diet more regularly. However, for those who do not like the taste or texture of cruciferous vegetables, it can seem like a daunting challenge to get those vital antioxidants you need to maintain healthy vision. We have good news for you – the antioxidant is not only available in natural foods. It is also available as a supplement in the form of Broccogen caps. The caps are easy to take and come with no side-effects – except clearer vision as you age. If you want to give your body the full power-shot of antioxidants it needs to help your retinal cells from degenerating, then these caps are for you! Contact Sloan Natural Health Center for more information.